April 10th 7AM-3PM Intro to Ski Mountaineering - $ 150 per person 6 spaces available. This clinic will be taught by John MacKinnon in Leadville. John is an AMGA Certified Rock and Ski Guide and brings over a decade of mountain guiding and outdoor education experience to Sawatch Guides. He currently splits his time between guiding locally in the Colorado Rockies, instructing in the outdoor recreation and leadership programs at several community colleges and guiding in the Pacific Northwest. This clinic is geared towards people with some backcountry experience. 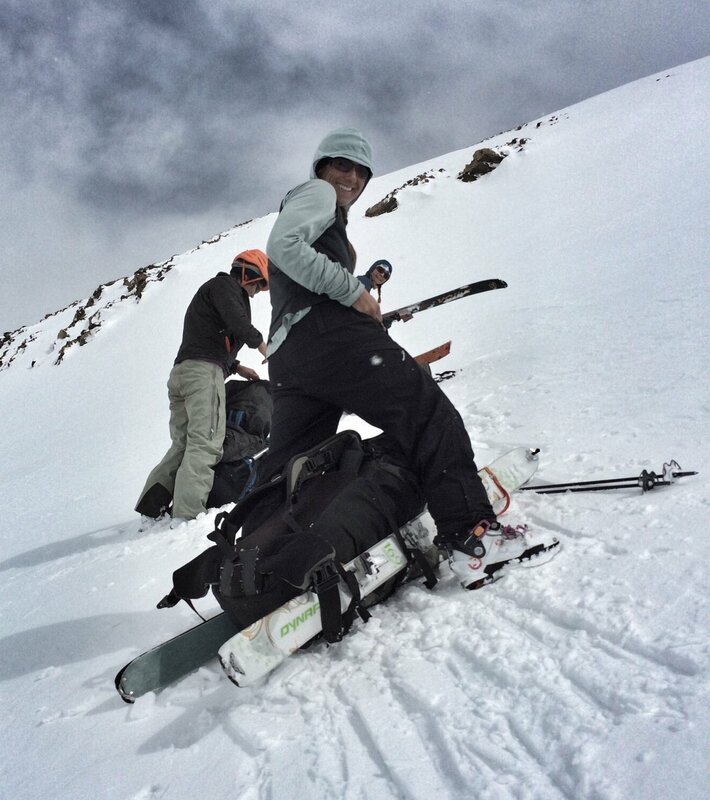 navigation tech tips and understanding spring avalanche problems. The clinic will be heavily weather dependent and the topics could change with the snow conditions. Cost is $ 150. Spaces are limited so sign up early by emailing sawatchguides@gmail.com. Sawatch Guides will provide: the guide, ropes harnesses, axes and crampons should you need them. Certainly feel free to bring your own. Not included: AT or Telemark equipment, skins, poles,beacon, shovel, probe, pack, proper clothing, LUNCH. These items can also be rented at Leadville Outdoors. Please call to make reservations. 970-485-3752. The clinic group will meet at City on a Hill Coffee Shop at 508 Harrison Ave in Leadville at 7AM on April 3rd.